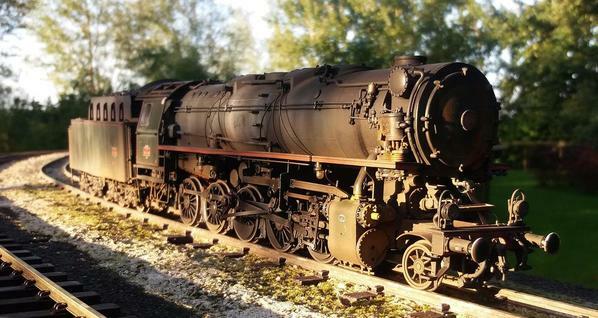 Does Anyone Model/Run European Trains? Yep, Mth coronation, Lionel kinlet hall, lgb mogul and a Bachmann emily. O, G, S, Ho. I LOVE TRAINS. Any trains. 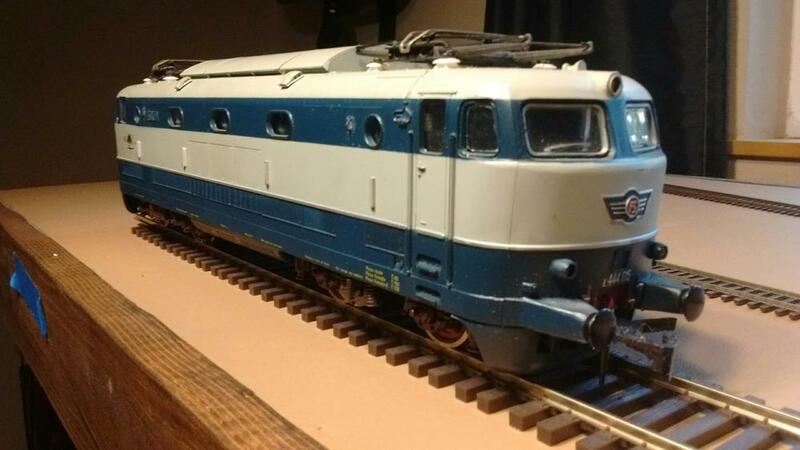 Does Marklin Z gauge count? 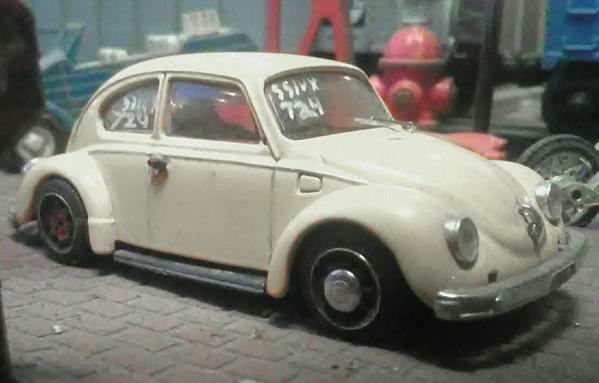 O Gauge Bug-In #1 never stopped. About 80% of my layout vehicles are vintage Euro builds; mostly VW; some "modified" for race Note the blue Tonka Kübelwagen/ "Thing"? And this toy caboose is under gauge but works. I always thought it looked like a curved European roof vs N. American. I wish I could find another bobber set from its maker (who?). Hopefully, some day, an early Italian Ganz electric or Mountain Crocodile will bite me and I'll be able to say "@#%© yea I do"....then I can think about a Garrett or German steam. Probably there are much more examples, but I got tired to list them down. 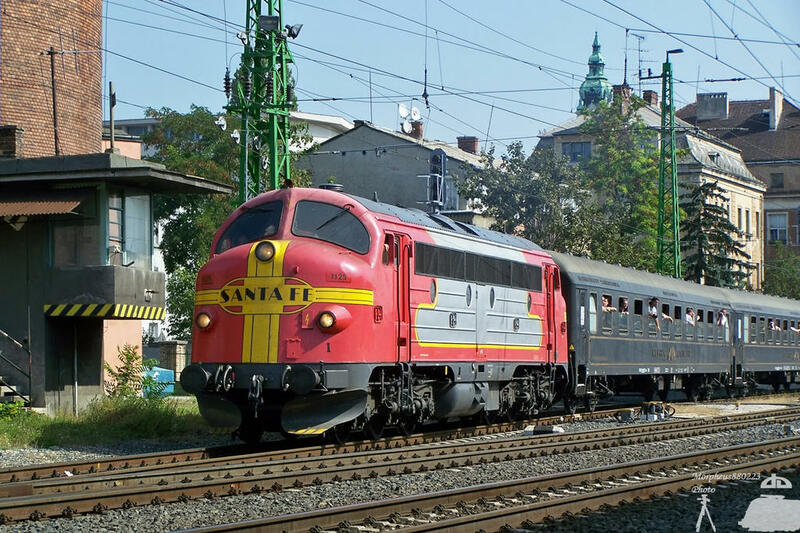 Any way, to conclude, you don't need always to buy ready-to-run and off-the-shelf models to run European trains and certainly you don't need always Alpine nor Central European theme. Mediterranean or Scandinavian does it just fine. We few, we happy few, we band of brothers... Henry V.
I had a Marklin HO catalog when I was a kid that I would flip though all the time. Never got any but I always liked the European models. The Great Northern TMY was painted for a movie shot in Sweden by Danish director Lars Trier many years ago. It was run for many years after in that colour. I dont know if it still running. There was another Loco a Swedish T43 painted in GN colours for the same film and its still running in those colours. In N scale I've got a Dapol SR Q1 Class 0-6-0 (love the brutish austerity forced lines) and a handful of covered and open wagons. 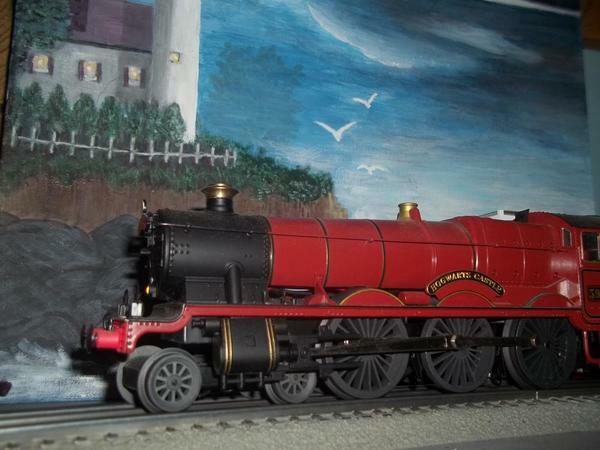 In O/0 gauge, I've got a Hornby 0-4-0 wind 'em up tank and an open wagon. The UK styling, to me is much more attractive when compared to the European stock. Just thought I would add a couple of Fotos of some recent builds, seems I am in a building mode the last couple of months. The first is an open ended Langenschwalbacher DB coach built from an EMA kit with detail parts from Klaus Krapp. 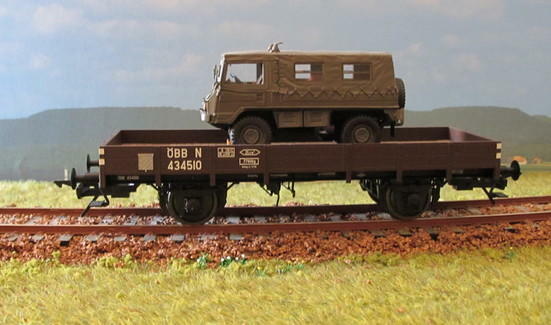 The second is a simple Austrian flat that I picked up at Giessen last year and added an Austrian military load to. An Italian "ES444", made by Rivarossi in the early 1970s, I guess. 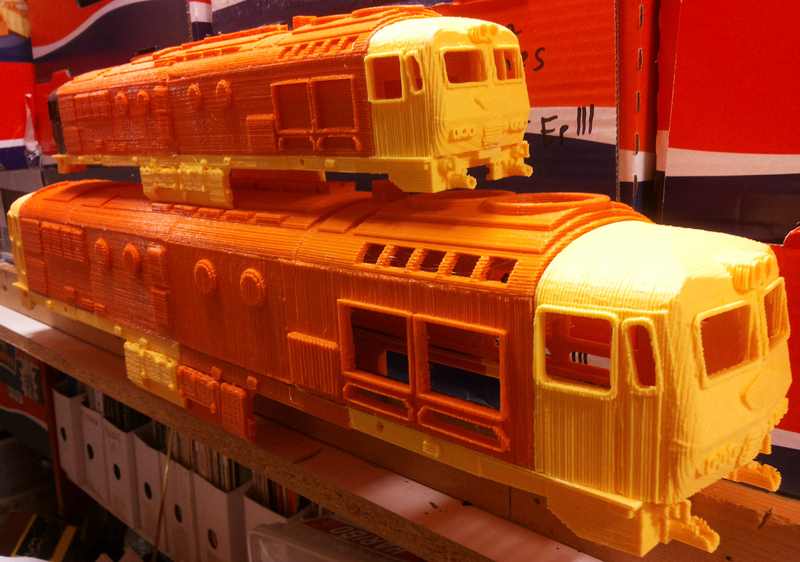 If anyone knows where one could aquire a British Rail Class 23 (Baby Deltic), I'd be most appreciative. You could have a steam train, if you'd just lay down your tracks. Yes, Heljan. 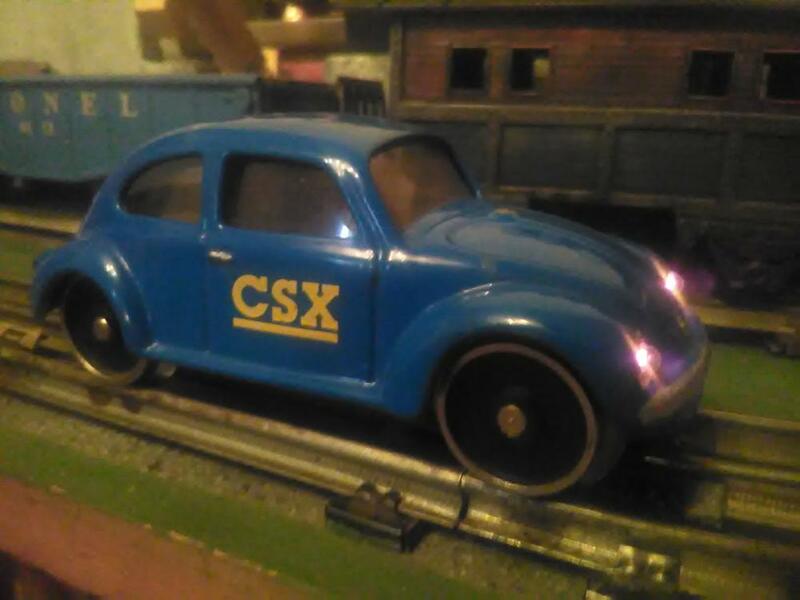 Was find able to find a UK hobby site that had it in OO gauge. Those passenger cars are gorgeous. I am going the 'other way' - just found my first Hornby tinplate clockwork train set (#20 goods train) that I will use to create its own little layout of a rural branch line. 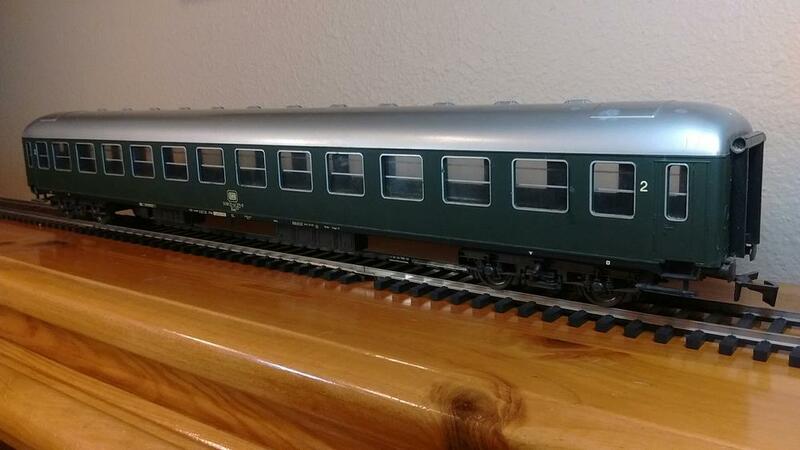 The Heljan O Gauge (2-rail) are sold in Britain through Howes Models in Kidlington, near Oxford. I visited them last year when I was at Oxford University for a month. I remember posting some photos in Friday Photos, around late June 2016. While not on their website, they often have shells with small blemishes, broken parts, etc. I would send them an email . Most of the engines run about $700 US + shipping + duty. 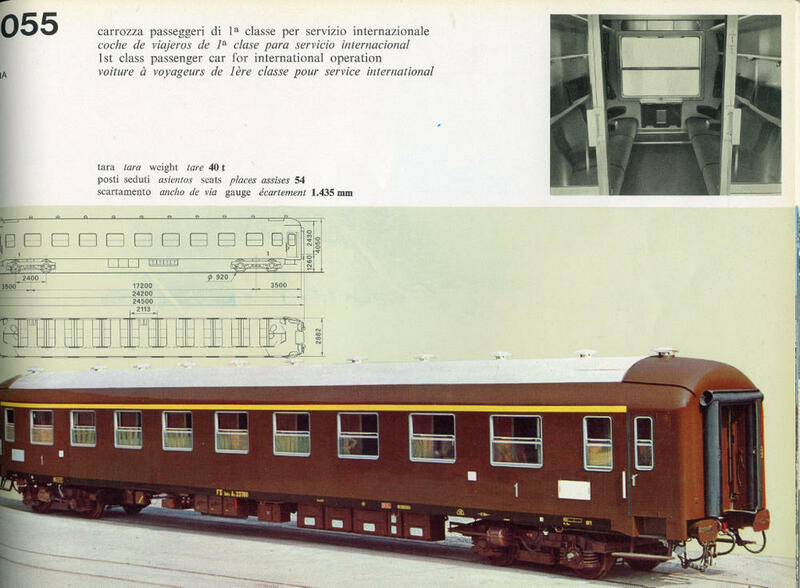 Actually the Lima coach is a model of an Italian coach, though with a few simplifications / modifications, notably changing the roof ventilators to the German pattern. The trucks are also simplified representations of the trucks for that car too; regrettably Lima used them under all their 0 coaches, even the British ones. See attached page from a mid sixties Fiat railway vehicle catalogue. - The book is titled "Fiat Materiale Ferrotranviario"; it was published by Fiat as a catalogue for general information of their rail products since 1945 to the publication date, whenever that was, as a marketing tool; it was Fiat Publication [ "Stampato"] Nr 2134. 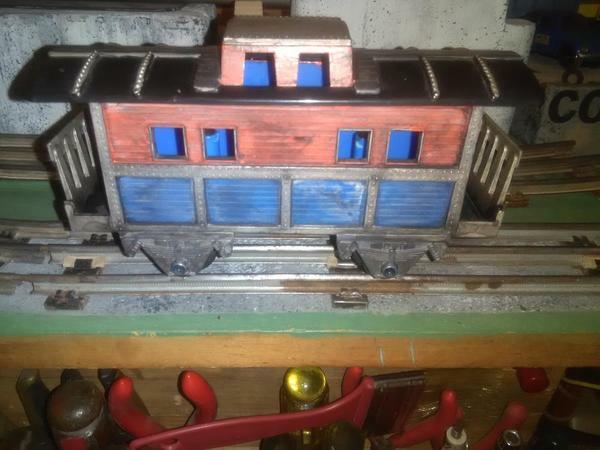 - I have been collecting Lima 0 gauge since about 1979 and have a fairly comprehensive collection, and I have never seen a Lima 0 gauge passenger car in this range that was not factory-fitted with these trucks. I have however seen these vehicles with other trucks substituted for operation on tinplate track [ although just substituting Lionel postwar wheelsets in the Lima truck frames works equally well ]. 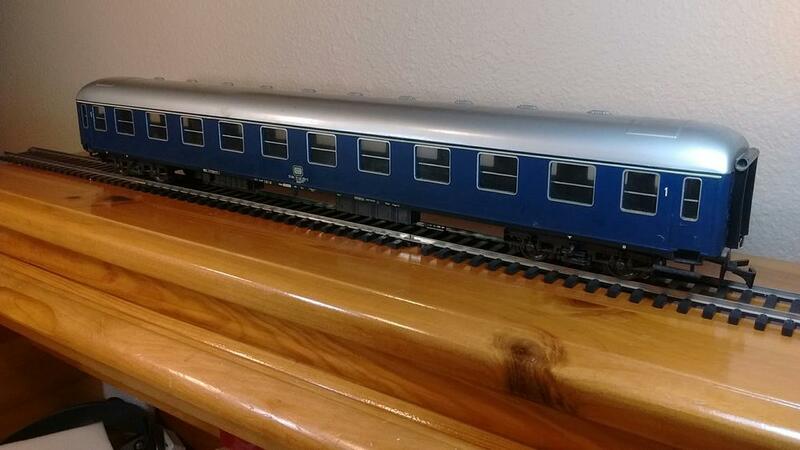 I am also aware that over the years there have been modellers who have made for sale alternate sideframes for the Lima coaches, for example the SNCF Y24 type for use under French vehicles. - If you do an internet search for " Carrelli FS tipo 24 " you should find a nice dimensioned diagram of the 'Lima' truck as well as other Italian bogie types. 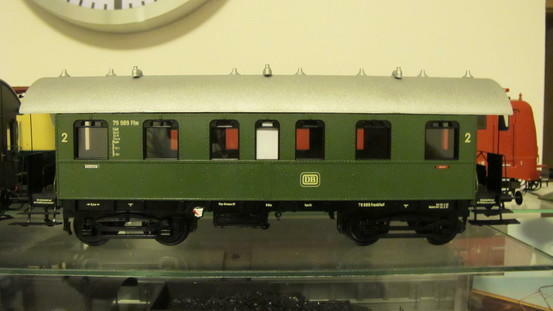 Full length coaches are good for shelf display or to operate point-to-point on a modular layout, but for suitable for oval layout with narrow curves. Lima did produce all of the 0 gauge items shown in that catalogue -- I have them all. However, because they produced many -- perhaps all, I never checked -- of the "same" models in HO and/or N, they often used the illustrations of those models in the 0 gauge catalogue section. [ I know, it's difficult to imagine a reputable manufacturer / importer doing that......... . ] A good case in point are the 6671 /72, which have Y24-ish trucks under them in the illustrations; other examples are refrigerator cars with ribbed sides. These both came with the "V215". I can only guess they were part of a set (#7000, I believe). Very pretty, LONG (23 3/8" over diaphragms), and I only wish they had come to me with the interiors. 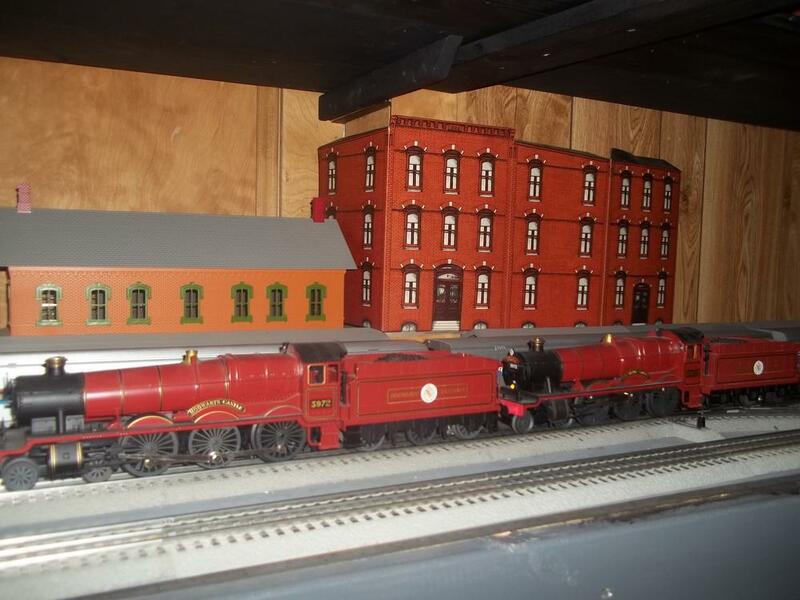 When I first got into G scale I was already an o scaler. I had considered modeling American with G, but it made more sense to use G for strictly Euro modeling, as I already had a fair amount of American equipment in O. That said, I started out all over the map with G scale, but now I try to focus on the RhB and the HSB, so I can run steam and electric. So for me it's O scale for American prototypes, and G scale for Euro. Oooo, they need a serious amount of work! 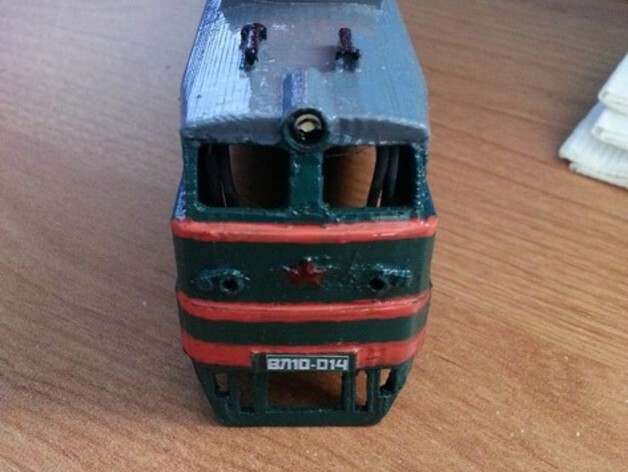 I'd love to find a couple of cars in O scale narrow gauge (Oe, they call what in the US is called On30) for German prototypes. 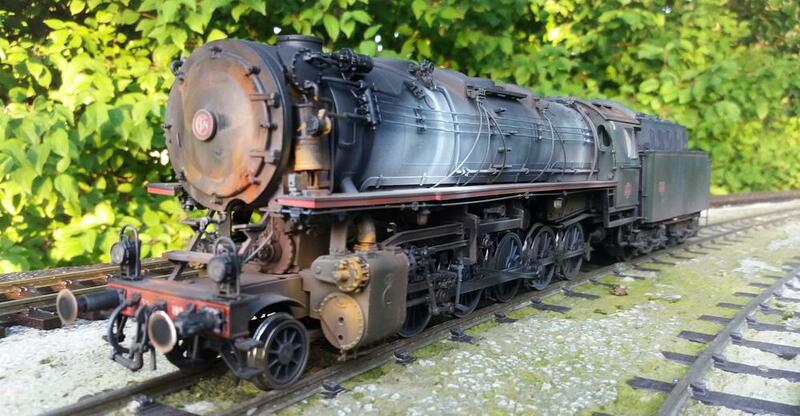 I prefer my LGB 1:22.5 Austrian, Swiss and German meter gauge models. The original LGB was made of a high-grade BASF polymer called Luran-S, which is very durable under extreme weather conditions. The paints were also high quality UV resistant. The Richter family knew how to build them right. The Hungarian LGB does not use Luran-S, so they are different products than the German production at Saganer Strasse. They do, however, look and run well, and I have some of the Marklin LGB. How many run the original German production LGB?